Conduct repair work if anything is damaged such as roof, pipelines etc. Clear rubbish and prevent pile-ups of foliage in open areas. Termites are one of those pests, which are very difficult to spot, therefore it is best to book an appointment with a pest control Melbourne agency and conduct regular inspection of termite. Even if there are no spots of termite, the pest control agencies will implement chemical protection, which would act as a barrier for termite. 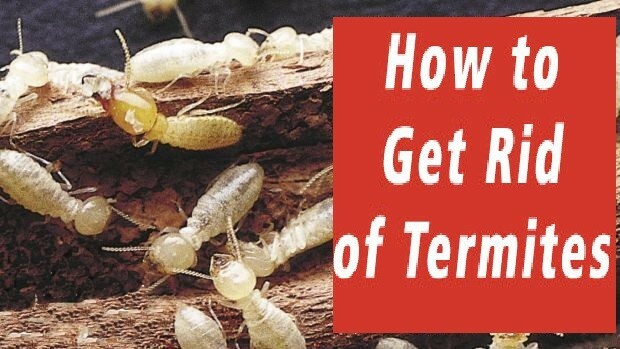 If there are signs of infestations then there are several ways by which pest control agencies can get rid of termites. Following are few of the methods, which may come handy. Termite Barriers – Termite barriers are of two types namely chemical barriers and physical barriers. Chemical barriers are application of chemical under the flooring, which helps keep termites away. Physical barrier on the other hand is a sheet, which does not allow the termite to enter the premises; however, termites can still develop tubes over the sheet, which is installed, which makes it easier to spot by professional pest control agencies. Since Termites, not only feed on wood but their excreta also damages the wood. They generally like dark and moist conditions therefore they are great on developing tunnels and creating dark environment whenever and wherever possible. They also are great artisans and know when to close the tunnel; to safeguard from their enemy. Therefore, it is best to seek help from a professional. It is very difficult to spot termite before it reaches a stage of infestation. It is then when they have already attacked your property in full swing. Therefore, without experimenting with DIY techniques it is best to leave it for a professional termite control Melbourne agency to handle the problem. NextHow to Select a Reliable Pest Control Company? Ever since our company was founded, we have provided a full and complete range of pest control services using the most efficient and humane techniques at our disposal. Our team is experienced and qualified in the latest and most humane techniques of pest control including doing the job in safety.